The "Modesto Bee" has printed a short interview with archaeologist Kathy Moskowitz Strain. She is the author of "Giants, Cannibals, & Monsters". In this book, Strain examines the bigfoot legend through the eyes of the continents original Native American inhabitants. The article is not very long but I was impressed that the reporter did what a reporter should. He asked questions and reported the answers without interjecting his personal views. Take a look at the video below of the whistling orangutan I mentioned in my last post. A friend of mine in the TBRC reminded me that there was some whistling recorded on the well known "Sierra Sounds" audio. The "Sierra Sounds" recording, if you are unfamiliar with it, is a series of different sounds that were allegedly made by a sasquatch. Many have dismissed them as the sounds of a known animal or as an outright hoax. Many believing them a hoax, if I recall, stated that the whistling could not possibly be anything non-human. Of course, whistling sasquatches have been reported numerous times by witnesses over many decades. These claims were deemed outlandish by mainstream science as this behavior had never been observed in any non-human primate. I don't know if the "Sierra Sounds" are the real deal or not. However, I think this orangutan proves that these recordings can no longer be dismissed based solely on the fact that the subject was whistling. 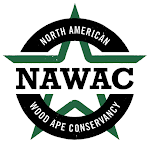 There are a couple of outstanding news items/articles over on the TBRC (Texas Bigfoot Research Conservancy) website titled "The Great Ape Behavioral Parallel" and "The Great Ape Behavior Parallel - Part 2". The articles cite behaviors recently observed in orangutans and chimpanzees that have never before been witnessed by scientists. Behaviors such as fishing with spears, whistling, and the hunting, killing, and devouring of wild hogs are discussed. The articles can be accessed at http://www.texasbigfoot.org under the "news" section. The reason these newly observed behaviors of known great apes are relevant is that these things have all been allegedly observed by sasquatch witnesses. These reports were dismissed by the scientific community as ridiculous. Now that these behaviors have been documented by mainstream scientists in known great apes these reports do not seem so far fetched. Check out the articles. They are well worth the time. I mentioned in my introductory post that I’m a member of the Texas Bigfoot Research Conservancy and actively investigate bigfoot sightings in the Texas, Louisiana, Oklahoma, and Arkansas region. This would be considered a pretty unusual hobby by most. I suppose that it is, indeed, unusual. However, I strongly believe in the existence of these animals. I will not try to convince you, the reader, that the sasquatch is a real flesh and blood animal. Through painful experience, I have learned that such efforts are usually a waste of time. Instead, I will simply convey to you the reasons that have convinced me that these animals are more than myth and do exist. This will take longer than you might think, as I’ve researched the topic extensively. One of the first factors that caused me to stop and ponder the possibility that these animals existed are the many Native American and First Nations accounts of sasquatch-like creatures that pre date U.S. History. Most people think that bigfoot was “born” in October 1958. 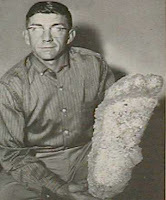 That is when the Humboldt Times carried a picture of a road worker named Jerry Crew holding a plaster cast of a 16” long, human-like, footprint (see above picture). Crew made the cast from tracks left behind by “something” that visited the road construction site he was working on in Bluff Creek, California. 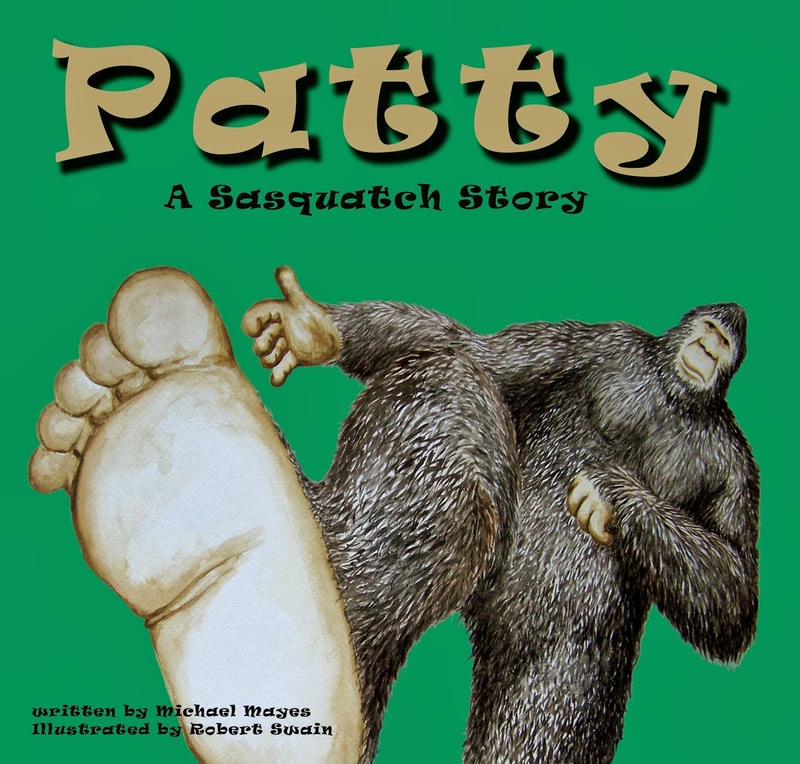 The story hit the wire services and “bigfoot”, the tongue in cheek name given to the maker of the footprint, became part of the American lexicon. Whether these original tracks were authentic has been debated, but the point is that most people believe that nobody had an inkling that large, hairy, hominids might be roaming the woods of North America. This is a fallacy as many First Nations peoples knew of the sasquatch. There are numerous stone and/or wooden carvings that seem to depict sasquatch-like creatures. For example, First Nation stone carvings dated between 1500 B.C – A.D. 500 show creatures with decidedly simian characteristics. Early paleontologist Q.C. Marsh, in an 1877 address, said, “Among many stone carvings that I saw there (Columbia River) were a number of heads which so strongly resemble those of apes that the likeness suggests itself.” Roderick Sprague, Emeritus Professor of Anthropology at the University of Idaho, said the carvings collected along the Columbia River showed, “non human but anthropoid features” and that “a relationship between these stone heads and the sasquatch phenomenon is suggested.” There are also examples of the sasquatch in wooden carvings and totems among various Native American tribes. 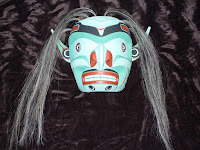 A sasquatch mask created by Chehalis First Nations member Ambrose Point, clearly depicts a sasquatch. The mask is very large and, no doubt, is intended to reflect the size of the creature it represents. This mask was made in 1938, many years before the Bluff Creek incident hit the papers. Included in the pictures above is a copy of a Buk'wus mask made by the Kwakiutl tribe. There are several examples of pictographs and/or petroglyphs, created by early Native Americans, depicting animals that seem to point to the sasquatch as the model. Probably the most well known example of pictographs comes from Painted Rock on the Tule River First Nations Reservation in California. These pictographs depict the “Hairy Man” of legend. This was a creature much larger than a man who was covered in hair and was cannibalistic (see third picture above). Petroglyphs found on the Rio Grande River north of the Pueblo village of Conchiti, New Mexico, show the hairy cannibal giantess that terrorized the tribe during it’s early history. One of these petroglyphs shows the giantess with an oval whistling mouth and is identical to the image of the D’sonoqua (wild woman of the woods) carved on a wooden totem by the Kwakiutl tribe 2,000 miles to the northwest. One other well known image was carved into a tree by native peoples in what is now the Salt Fork State Park in southeastern Ohio. 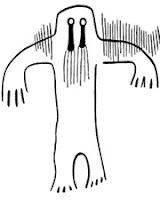 It depicts the “grass man”, a bigfoot-like animal, the people of the region knew well. The bottom line here folks, is that nearly every tribe that inhabited the North American continent knew of, and had a name for, what we call bigfoot long before the famous Bluff Creek incident. The Lakota Sioux called this creature Chiyetanka. The Turtle Mountain Objibway called it Rugaru. The Cree called it Windigo. Other tribes who knew the sasquatch were the Colville, Kwakiutl, Tsimshian, and Salish who called these animals S’cwene’y’ti, Buk’wus, Ba’oosh, and Sasqits, respectively. These are just a few examples and many more can easily be found with minimal effort. The fact that the widely distributed first Americans knew of these animals, had names for them, incorporated them into their art and mythology, and gave very similar descriptions as to their appearance, gave me much food for thought as to whether the sasquatch could indeed be a real flesh and blood animal. 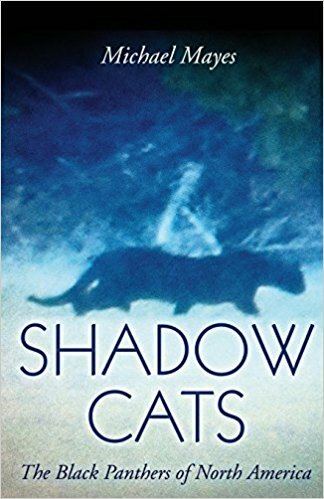 Much of the information cited came from Chris Murphy’s “Meet the Sasquatch”, John Green’s “Sasquatch : The Apes Among Us”, and Jeff Meldrum’s “ Sasquatch Legend Meets Science”. I would highly recommend each of these books to anyone who wants to become more knowledgeable on the subject of bigfoot. Welcome to my newest blog. I have been blogging for a while at my other site (www.mike-mikesmusings.blogspot.com) regarding anything and everything that crosses my mind. I've carefully avoided, for the most part, one of the topics that most fascinates me, however. That topic is bigfoot. That's right...bigfoot. I have been intrigued by this mystery since I was a small boy. I can remember vividly viewing the Patterson-Gimlin film and the impression that it made on me. Since then I have kept a careful eye on all things "bigfoot". I got serious about doing some research a few years ago when I joined the Texas Bigfoot Research Conservancy. What prompted me to join an organization? Well, we'll get to that later. For now know that this blog will be dedicated to this topic as well as any other interesting cryptozoological stories in the news. I'll give you my thoughts on these subjects and do my best to take a level-headed and logical look at what is considered a fringe subject, at best, by most people. I hope you find it enjoyable and informative.